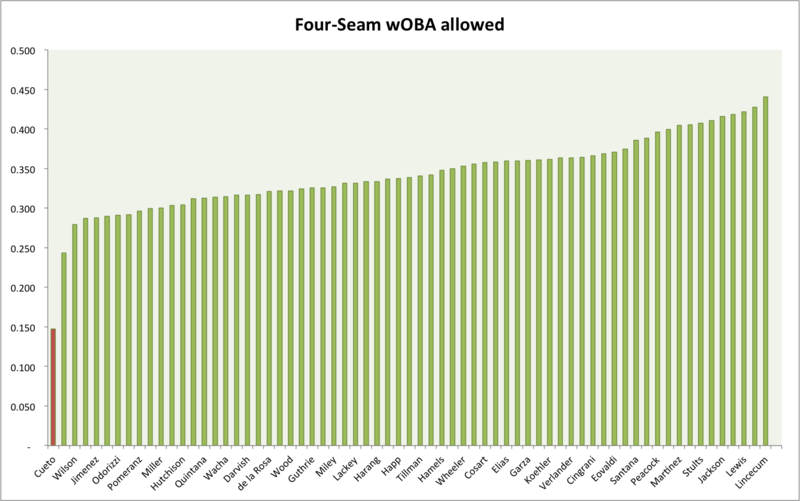 ***Note also: Tony Cingrani also appears on this graph of low wOBA allowed. 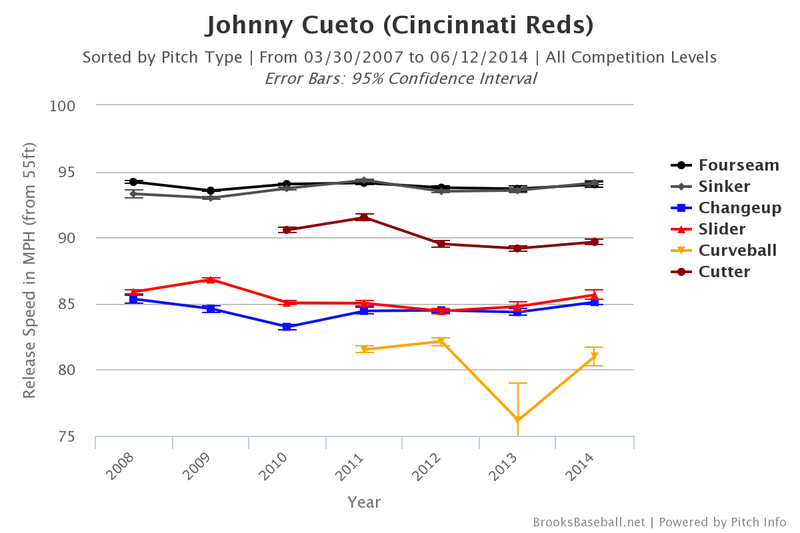 I tend to expect that outliers as substantial as Cueto is in that first graph are due for a regression. 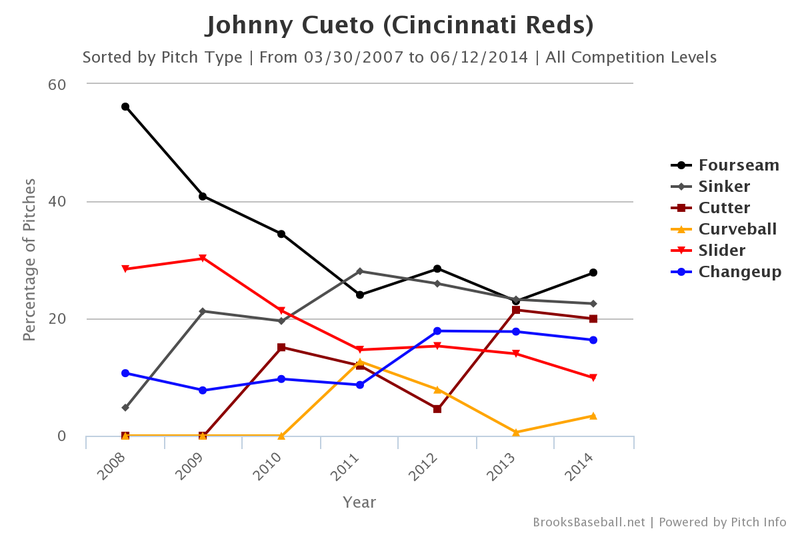 That shouldn't be a surprise, because Cueto has been so unbelievable this year. It's pretty rare for a pitcher to be almost twice as good as everyone else on something. Nevertheless, the Dodgers announcers were talking a lot about Cueto and the deception in his delivery last night. I think that Cueto's increased velocity, coupled with the deception of how well he hides the ball during his delivery, are a bit part of why he's been able to accomplish what he has this year. As Cameron states, this is not just a BABIP-inspired oddity. I can't explain it either, but I am enjoying the ride.